In his remarks to the Manning Centre networking conference on Saturday, Scheer said he "unequivocally" condemns hateful ideologies. "The criticisms are completely baseless." Scheer has come under fire for speaking at the recent United We Roll rally on Parliament Hill, which had picked up participants who were making racist and anti-immigrant comments. The Prime Minister's Office also condemned Scheer for "sharing a stage" with Faith Goldy, a commentator who was let go from her job at Rebel Media after appearing on a podcast affiliated with the neo-Nazi website the Daily Stormer. In that particular instance, Scheer insisted he hadn't heard the question properly. "People know that the Conservative Party is open and welcoming," he said. "We denounce any elements of society that would promote hate speech." His comments at the Manning Conference were the first time he's fully addressed the accusations against him, though he's taken questions on the matters at news events in the past few weeks. Scheer was also heavily criticized for tweeting out his condolences to the victims of the New Zealand mosque attacks without mentioning the words 'Muslim' or 'mosque'. On Saturday, he accused the Liberals of targeting his post to "score cheap political points in a disgusting manner," adding that Public Safety Minister Ralph Goodale and Gov. Gen. Julie Payette released statements omitting both terms as well. The Tory leader said it's important to speak out against those who put one group of people over another. In what was clearly a speech with an eye toward the upcoming election, Scheer told the audience that being an Opposition leader isn't always easy, because you're not as high-profile as the prime minister. 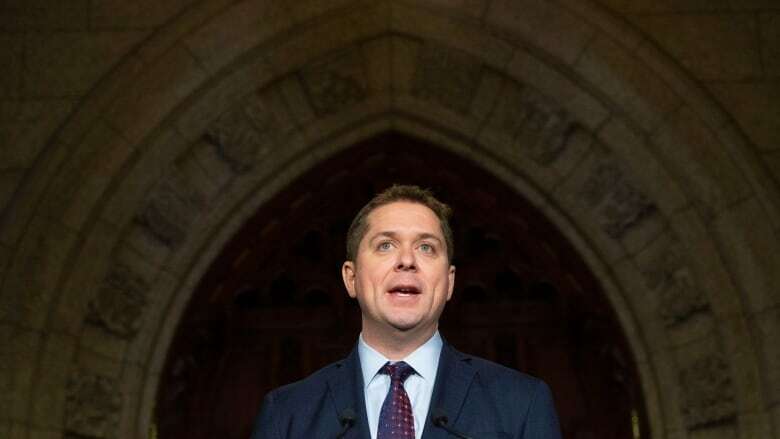 However, now that the SNC-Lavalin affair is casting doubt onto Trudeau's character, it's easier for people to see "the real Andrew Scheer," he said.